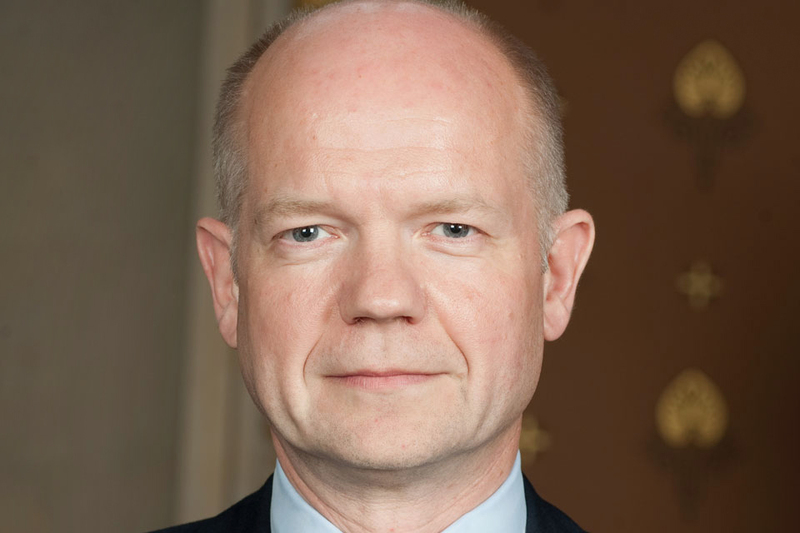 "The best diplomatic service in the world: strengthening the Foreign and Commonwealth Office as an Institution"
Foreign Secretary William Hague has outlined his vision of the future of the Foreign Office in a speech in London on 8 September. Good morning and thank you all for coming to the Foreign and Commonwealth Office. Our government’s first year and a half in office has seen a tumultuous and exciting period in world affairs. In parts of the Middle East and North Africa, the political order that has lasted nearly half a century has been overturned in a matter of months, with consequences that we will grapple with for a generation, on top of the effects of the global financial crisis. The Foreign Office is said to be the busiest it has been since the Second World War. Seven million emails passed through the Foreign Office computer system in the first two weeks of February at the height of the Arab Spring, at times up to ten times the normal volume. Between January and April we helped evacuate 6,000 British nationals from instability and violence in the Middle East, and more than 570 extra staff volunteered to join large consular and political crisis teams that worked day and night in the FCO. The most important responsibility of any Foreign Secretary is to make the right judgement about the most urgent challenges in foreign policy and tirelessly to promote the national interest. But it is not the only responsibility. My personal objective as Foreign Secretary is to do something else that I passionately believe is necessary: to strengthen the long term capability and international effectiveness of the Foreign and Commonwealth Office as an institution at the heart of government, and to improve our country’s capacity to pursue effective foreign policy for years and even decades to come. One of the axioms guiding our foreign policy is that the nation that is purely reactive in foreign policy is in decline. We must lift our gaze to the future constantly; so that we do not neglect to put in place now the relationships and capabilities we will rely on to remain a prosperous, influential and secure nation in twenty years time when configurations of global power and influence will be very different from today. I consider it a central part of my mission as Foreign Secretary to seek a permanent and well-entrenched improvement in Britain’s ability to project its influence overseas, founded on a revived and reinvigorated Foreign Office that leads thinking on foreign policy across government and that places Britain at the centre of the new networks of the 21st century. It must be a Foreign Office with a clear sense of purpose, greater ambition, a stronger and in some cases expanded diplomatic network and even deeper skills and capability. It has to be a Foreign and Commonwealth Office that commands the confidence of the Prime Minister of the day and that has the ear of our allies; that can negotiate, interpret, influence, advise and act for Britain overseas across the full range of our interests, and that can do these things anywhere in the world including in its most dangerous regions. Strong foundations exist already for the FCO to play this role. There are few if any diplomatic services in the world that can rival Britain in the crafting and negotiating of international agreement as a basis for collective action. Our diplomats excel at finding deft, realistic and workable solutions that bridge the gap between countries with vastly different perspectives. As Qadhafi’s forces closed in on the trapped residents of Benghazi in March, British diplomacy helped secure a lightning-fast international response at the EU and the UN; a Security Council Resolution authorising military force to protect civilians that many observers had scorned as impossible; and an unprecedented coalition of over 30 countries including regional and Arab nations that has grown steadily. Ours is the only government Department in British Government that is truly global. We have people on the ground in 158 countries and we are able to send our staff wherever they are needed, whether it is to extricate trapped British Nationals from Egypt, assist those affected by Japan’s nuclear disaster, or to establish contact with new political forces as we did in Benghazi while conflict raged. If any aspect of this goes wrong it is rightly headline news. However most of the time it goes extremely well even though largely unnoticed and I see the many letters of thanks sent in by people who were helped by the Foreign Office when tragedy or difficulty struck them overseas. The people of the Foreign and Commonwealth Office are outstandingly professional, dedicated and talented, from our diplomats and our Home Civil Service to our locally engaged staff, over two thirds of our workforce, who make our posts work overseas and are an increasingly valuable source of local knowledge. I am struck daily by the quality of our junior staff in London and in the posts I visit. They do a tremendous job supporting our diplomacy. Our diplomats often face risk in the service of our country, such as the men and women in our Embassy in Yemen who faced successive terrorist attacks last year, our brave staff in Afghanistan, or our staff in Cote d’Ivoire who spent days under fire in a cellar. So I have the greatest confidence in the men and women of the Foreign Office. Our country has relied upon them and their predecessors for over two hundred years and could not do without them for a single day, and I thank them for all they do on our behalf. Despite this, the FCO’s stature in Government has diminished in recent years. I formed the firm view in Opposition that the FCO had been devalued and sidelined in British government, too often ignored by Prime Ministers and weakened as an institution. When I came to the FCO I found much that was deeply admirable and many areas of strong performance. However there were a number of specific areas where the long term capability of the organisation was not safeguarded in the national interest. We saw the much lamented axing of the Foreign Office Language School and reduced investment in language skills, which led to shorter periods of training in scattered locations, without the esprit de corps that comes from our diplomats studying languages together. We ended up with shortages in skilled speakers of Arabic, Mandarin, Afghan languages and even French. There was also the staggering decision by Ministers in 2007 to remove the FCO’s protection against exchange rate movements. This meant for two years and until our coalition government came to power the amount of money Britain spent on foreign policy in countries overseas fluctuated along with the value of Sterling, leading to a raft of unplanned cuts to Embassies’ budgets, travel and training. I have been unable to find any other example of any major Foreign Ministry in the world choosing to hitch its foreign policy budget to global currency markets. This was a decision that showed a complete lack of understanding of the FCO and of foreign policy. It should never have been allowed to happen and had I been Foreign Secretary at the time, I would never have agreed to it. We also saw Embassy closures that shrank Britain’s diplomatic network. Under the last government 40 British Embassies and posts were closed. In Latin America for example, a rising powerhouse of the global economy, four British Embassies were closed, sending a signal of diplomatic retreat at the very moment that continent began its economic rise. Such closures inevitably lead to us being regarded as a less relevant partner and affects cooperation in a whole range of areas, including in commerce and trade. And it has a knock-on effect on our impact in multilateral organisations, where crucial decisions still rest on judgements made in national capitals. These closures also reflected and reinforced the previous government’s lack of sustained, systematic interest in the UK’s bilateral relationships. I was dismayed to discover there was no cross-governmental strategy on the key emerging powers, and within the FCO Ministerial prioritisation of rather nebulous themes had the effect of discouraging staff from going to many of our important bilateral posts, and a shift away from the investment in geographic and regional knowledge which is an essential feature of successful foreign relations. I found evidence that dysfunction and rivalry in the relationship between Ministers had corroded ties between the FCO and its closest partners in government. In my first weeks in office I received advice warning me about a planned overseas visit by another Secretary of State, assuming that I would want to stop that visit going ahead and advising me how to do this. It spoke volumes about the relationship between some Ministers under the previous government that officials believed this would be what I wanted. It may also reflect the astonishing turnover in junior ministers in the Foreign Office in recent years. As I said, and always say to my officials, the Ministry of Defence and the Department for International Development should be the Foreign Office’s best friends in government. The problems we face in world affairs increasingly require the seamless coordination of foreign policy, development and military power, and that must start with leadership from Ministers. And, while the FCO needs and indeed has excellent managers at every level, and good management is essential to the things we want to achieve, I am not alone in believing that the pendulum had swung too far in recent years away from policy-making expertise and towards cumbersome bureaucracy often imposed by the centre of government - a perception I know was shared by many within the FCO itself. We must get the balance right. It is not a question of people being either excellent at policy or excellent at management; we need to be excellent at both, and many are. The organisation needs to maintain improvements in leadership and the management of staff, finances and projects, but we cannot neglect for an instant the need to build up the diplomatic tradecraft of the FCO and apply it to our future. I also discovered that when Ambassadors retired from the Foreign Office, sometimes with as much as 40 years of experience, they tended - if they were lucky - to have a brief handshake with the Foreign Secretary but were then seldom seen in the building again, and their accumulated knowledge was lost to the government. To my mind, people who have worked for so long on behalf of Her Majesty’s Government and in whom the FCO has invested so much should feel that they belong to the institution even after they leave it, and should be regarded as part of the collective memory and intellectual firepower of the organisation. Finally, as a politician and part time historian I was surprised and indeed shocked upon my arrival here by the sight of the vast expanse of empty wooden shelves where once the 60,000 books, pamphlets, reports and manuscripts of the historic Foreign Office Library were housed, here in this building. The Library embodied 500 years of British and world history; of our experiences of exploration, diplomacy, war, peacekeeping and the forging of Treaties; of our role in the abolition of the slave trade and the creation of the Commonwealth. It contained unique historical documents such as the 1692 Charter of Massachusetts, many of them annotated by the officials of the time. Once regarded, in the words of Gladstone’s Foreign Secretary Lord Granville as “the pivot on which the whole machinery of the Foreign Office turned”, it was broken up in 2008 and the collections dispersed, mainly to Kings College London, to whom we should be grateful. This revealed insufficient understanding of the sense of history, continuity, identity and tradition that strong democratic institutions need. It is ironic that the only object to survive the gutting of the library is a one hundred year old twenty-foot stuffed anaconda known as Albert, who remains suspended over the empty bookshelves, while the books from the period when such an unusual foreign gift found its way into the Foreign Office have been dismantled around it, and can never be reassembled. To my mind the fate of the FCO library is emblematic of a gradual hollowing out of the qualities that made the FCO one of our great institutions. On the first day I arrived here I addressed staff in the Durbar Court I made a commitment that under this Government the Foreign and Commonwealth Office would be restored to its rightful role at the heart of Government. I was able to make this pledge because we have, in David Cameron, a new Prime Minister who admires and respects the FCO and relies on it, as we have seen at every stage in the campaign in Libya. This, coupled with a new Foreign Secretary who sees the strengthening of the Foreign Office as part of his mission, and leadership in the FCO which embraces these ideas, means that the planets are aligned for a restoration of the health of this great organisation in a way that is unprecedented in recent history and which may not arise again for many years to come. It is vital that we seize this opportunity, for two compelling reasons. First, it is good for our democracy. Strong institutions are necessary in civil society, to encourage participation and keep in check an overmighty State; they are necessary to our judiciary and Parliament so that the law is upheld and the making of it respected; but they are also necessary within the State, a point tragically overlooked by those Prime Ministers who have created and abolished departments on a fancy or a whim, destroying as they did so the pride and continuity of thousands of public servants while rendering government incomprehensible to the average citizen. The whole country should know what the Foreign and Commonwealth Office is and what it does, and all those interested in foreign policy at home or abroad should see it as a centre of excellence with which they aspire to be associated. This can only be achieved if it is in itself a strong institution, able to attract and retain exceptional people from a wide range of backgrounds and to generate powerful ideas. Second, our country needs the skills of the Foreign Office more than ever. The world out there is not conducting a seminar on foreign policy. Out there are nations advancing their own national interest, ideas which promote violent extremism, wars we must prevent, new threats we must anticipate, treaties we must negotiate and opportunities we must seize. There is no inevitable progression towards a greater ease of agreement at international bodies: shocks, crises, setbacks and conflict are all too frequent and we need diplomacy to help mitigate them. The art of building confluences of interest with nations whose view of the world is very different from our own is not something of the past, but a crucial national advantage that we must preserve and strengthen for the future. If anything, we now have to work even harder to persuade others to support the things we believe in, including for example on human rights, as the circle of international decision-making widens. There is far from universal support among the rising powers of the 21st century for collective measures when international laws and norms are flouted in countries like Burma, or Iran or Syria. Strong bilateral relations with diverse countries are critically important to Britain, as the world is not concentrating into regional blocs but developing into a lattice of overlapping alliances and connections among countries we need to understand and to be able to influence, not only in pursuit of our own security and prosperity but also for global agreements on wider issues like climate change and nuclear proliferation. Our experiences in Libya have confirmed that when we grapple with conflict or insecurity in particular parts of the world we need to do so in partnership with regional countries as well as with our allies. We cannot impose solutions on other countries; we have to work with the grain of their societies. Furthermore we cannot ride roughshod over international opinion or neglect to ensure that our actions as seen to be as legitimate as possible in the eyes of the world. All these have played a critical part in recent advances in Libya, and will remain a hallmark of our coalition government’s foreign policy and our diplomacy. Technological advances and modern day communications can and must enhance our diplomacy, but they cannot replace it. There is no substitute for having trained diplomats on the ground with access to decision-makers, making vital contacts and lobbying on behalf of Britain. Above all, we cannot outsource parts of our foreign policy, for example to the European External Action Service as some have suggested. Indeed the breadth and depth of the FCO is a great asset for our success in the European Union, and along with other European countries’ Foreign Ministries is crucial to our ability to project collective influence. There is not and will never be any substitute for a strong British Diplomatic Service that advances the interests of the United Kingdom. We can never rely on anyone else to do that for us. With all this in mind, we are setting out to strengthen systematically the capacity and reach of the Foreign Office in three principal ways. First, we have clarified and simplified the FCO’s purpose and priorities, refining the FCO’s objectives to three core tasks: security, prosperity, and consular support to British nationals, within an overall foreign policy that seeks to strengthen the rules-based international system in support of our values. Second, we have restored financial stability to the Foreign Office, which had been tottering on a financial precipice. We have negotiated with the Treasury the creation of a new Currency Mechanism which has restored the FCO’s protection against exchange rate movements. Fortified by this and by the certainty that comes from a four year Spending Review outcome, the FCO is once again able to plan properly for the future - identifying £100 million in running costs that we will save each year. In Europe, while retaining our commercial representation and our consular work, we are consolidating our other staff in national capitals. This enables us to strengthen and in some places expand Britain’s diplomatic network beyond Europe. We are significantly increasing our diplomatic presence in India and China, the world’s two emerging superpowers by increasing the number of frontline staff in each country by 30 and 50 positions respectively, and focussing on their fastest growing cities and regions in each country, some of which have GDPs larger than whole European countries. We are substantially expanding our diplomatic strength in Brazil, Turkey, Mexico and Indonesia, Burma, Thailand, South Korea, North Korea, Mongolia, Malaysia, Nigeria, Angola, Botswana, Chile, Argentina, Colombia, Panama, Peru, Pakistan, Vietnam, the Philippines and our presence in Taiwan, maintaining the strength of our delegations to the United Nations in New York and Geneva, NATO and the European Union and keeping our network of Consulates General across the United States. We have made a firm pledge that this Government will not close any of the existing 140 British Sovereign Posts overseas - our Embassies or High Commissions - during the lifetime of this Parliament; and we will open six new Embassies and up to seven new Consulates General in the emerging economies, including one in Brazil. And in due course, we hope to open a new Embassy in Somalia. It is not possible now because of the security situation, but we will be ready as soon as we judge that circumstances permit, and in the meantime we will set up an Embassy for Somalia in Nairobi. We also think it sends a strong signal when other government offices are located with the British Embassy in countries overseas, presenting a united front as well as being much better value for the taxpayer. In the hope of beginning to overcome the inertia which has held up co-location overseas in recent years we have created an incentive for our Whitehall partners to share premises with us, through a new charging mechanism over the next four years. This effort is aimed at preventing what I call the strategic shrinkage of Britain’s influence in the world. In the countries where Embassies had closed that we are now re-opening, we are sending a signal that Britain is back in the business of serious diplomacy with them. Where we are increasing the numbers of staff and consulates, we are able to build deeper diplomatic relationships and do more for British business and our citizens. And when we co-locate with other departments overseas we show the whole of government acting as one, not as a collection of departments. But on top of this, and this is the third crucial element of the changes I am introducing, we have launched the biggest drive to enhance the cutting edge abilities and diplomatic skills of the Foreign Office that the Department has ever seen; skills in negotiation, analysis, difficult languages, economics and policy making. This new Diplomatic Excellence Initiative covers every aspect of the work of the FCO. After years in which the level of ambition of Ministers has been that government departments are simply fit for purpose, in the Foreign Office we have set ourselves the goal of excellence in every crucial area of our work. Together we are turning around the decline in language teaching in the Foreign Office so that we build a cadre of language expertise to support British foreign policy over the long term. We plan to spend up to £1 million more each year teaching languages to our staff - a 30% increase over the 2010-11 financial year, we are increasing the number of jobs overseas for which language skills will be an absolute requirement which will enable us to make more of an impact on the ground, and I can announce that we will reopen a language centre here in the Foreign Office itself. We are equipping our diplomats with sharper economic skills, so that they not only understand the economic forces shaping the world around us but have the specialist knowledge to spot commercial opportunities, lobby to drive down barriers to trade and build the political relationships that support greater trade and investment in the UK. We have strengthened and upgraded our Economics Unit at the heart of the FCO, alongside our reinvigorated Policy Unit, the successor to the highly regarded Policy Planning Staff. And we have launched a new team and new training in commercial diplomacy, with more private sector secondments for senior officials. We are putting greater emphasis on cultivating and retaining knowledge throughout the institution; bringing the work of FCO Historians back into the consideration and formulation of policy along with the academic rigour that our Research Analysts bring, including regular seminars to learn from history. This includes a new approach to the alumni of the Foreign Office. I have decided to set up a new ‘Locarno Group’ of some former Ambassadors and other former members of the FCO who will be an additional source of advice to Ministers on foreign policy. We are also setting up smaller networks of alumni expertise in specific subjects such as the European Union as well as involving outside experts more in our work. Last year I set up a Human Rights Advisory Committee whose members have already made a very important contribution to our human rights policy. Diplomatic Excellence is not turning the organisation upside down - but setting the Department free to do what it does best. Nor is it a backward-looking exercise, but is designed to equip our diplomats with the best possible skills for the future. It is a carefully thought through strategic approach to how Britain operates in the world in the 21st century which we came to office determined to oversee and have spent a year putting in place, taking full advantage of the momentum a new government brings with it. I began this work with my Ministerial team and the senior leadership of the FCO on my first day in office, and I will sustain and intensify these efforts throughout our time in Government. It means that in twenty years time, diplomats who join the Foreign Office today will have had a greater opportunity than before to build up and retain real expertise in countries, regions, issues and languages, getting under the skin of places of importance or potential importance to the UK. It means that the Foreign Office will be equipped to have a greater impact in Government as well as overseas. Our National Security Council ensures that the whole of British Government now works together to support our country’s objectives in foreign policy, and Diplomatic Excellence means that the best possible ideas and analysis will flow from the FCO into the NSC. So against all the odds and for the first time in decades, British diplomacy is advancing not retreating. We are showing that it is possible to increase Britain’s reach overseas even at a time of constrained national resources and while making our contribution to bringing down the national debt and deficit. My ambition is a Foreign Office that is the best diplomatic service in the world, and I know that it is what British diplomats want too. I want to see an even more confident and more capable Foreign Office, one in which ideas thrive and the status quo can be challenged fearlessly, that provides the creative and innovative ideas which help Britain to stay ahead and that has all the attributes of a thriving democratic institution that people want to belong to and are proud to work for, that looks after its staff, invests in the next generation of young diplomats and that is a centre for excellence in every way. It is work that I hope will have the support of all political parties, and of course of the Foreign Affairs Select Committee of the Commons and various Lords Committees that tirelessly scrutinise the work of the FCO. For I believe that the steps we are taking to strengthen the Foreign and Commonwealth Office as an institution and to enhance Britain’s foreign policy will help create the strongest possible foundation for the security and prosperity of our nation over the long term. Building political and trade links with the emerging powers, ensuring that we have diplomats in the right places in the world with the right skills and knowledge and strengthening our diplomatic network are long term projects which this Government will not neglect for a single day, while charting a course for the country through testing times. The conduct of our relations with 196 different countries and many international organisations is too important to be allowed to decay. It is time for a renaissance in our capability to influence the world around us and I am determined, as you can gather, to bring it about.